A car in today’s life is more of a necessity than a luxury. Those days are gone when it was considered a unique and fancy thing to have at your disposal. Automobiles have taken over the task of helping people in travelling for business and pleasure immensely, over time. Today’s world sees a vast number of car manufacturing companies and a surprising array of cars they can choose from. And every car comes with distinct features, advantages, price tags and USPs. Hence, picking a car can be a harrowing task, especially when you want the best of features but are not too keen to shell out a large amount. To make things easy for you, we have listed some of the best cars under $20000 here. Take a look at these and when you do, consider the ones that are in accordance with your needs. Be it engine specs or fuel economy make sure you personally research to zero in on a decent package overall. Let us now take a closer look at these cars to find out what they have to offer on the inside and the outside. This mind-blowing crossover product by Kia Motors starts from $15,900. However, the ‘+’ version of it comes with a price tag of around 19 grand. 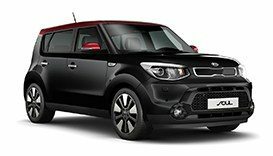 This model of the Soul has a 2.0 Liter 4 cylinder engine with a displacement of 1,999 cc. It has CVVT valve timing similar to the base version, and a compression ration which is slightly higher. It churns out a whooping 164 BHP @ 6200 RPM and generates a maximum torque of 151 lb-ft at just 4000 RPM. It is equipped with an electronically controlled 6 speed auto transmission with an overdrive feature. With a fuel tank capacity of 14.2 gallons, it will give you a combined fuel economy of 27 MPG. The safety features however, come as standard in all variants of the Soul. It is equipped with a number of airbags and ABS, Electronic Stability Control, EBD, Hill Start Assist Control, etc. to keep you safe while you are on the move. The 2.0 L engine is packed with power. It comes with 14.2 Gallon fuel tank and various safety features. Cruise Control is another benefit. The vehicle has a boxy look which may not appeal to many people. It has limited cargo space. The all new Ford Fiesta comes in variants of Sedan and Hatch as well. Looking at the sedan here, the Titanium version of it is priced at 18 grand. It features a 1.6 L inline 4 cylinder engine. The engine generates about 120 HP and a peak torque of 112 lb-ft. It features a 5 speed manual transmission as a standard, and gives you the option of a 6 speed automatic transmission as well. The safety features of the car include ABS, EBD, Electric Power Assisted Steering to make your handling process easier and Hill Start Assist as well. Giving an estimated fuel economy of 28 MPG in the city and 36 MPG on a highway, this Fiesta turns out to be quite economical. Equipped with excellent safety features. You might find it a little less powerful for a 1.6 L engine. The automatic does not come as a standard. The Outlander Sport by Mitsubishi will stun you with the stunning HID headlamps and the DRL’s. This beauty features a 2.0 Liter inline 4 cylinder engine as far as the base version of the car is concerned. The more advanced versions however come with a 2.4 Liter engine displacing about 2360 cc compared to the 1998 cc of the base model. A maximum of 148 HP is thrown out @ 6000 RPM and you get the maximum torque delivery of 145 lb-ft @ 4200 RPM. The transmission on the Outlander is a 5 speed manual (only on the base version). It has a fuel economy of 24 MPG during a drive through the city and 31 MPG on the highway. All the safety features come as a standard on all the variants of the Outlander comprising of Hill Start Assist, ABS, Traction Control Logic, multiple airbags, etc. Powerful 2.0 L engine with a great HP and torque delivery. Decent mileage offered in spite of the powerful engine. Multiple safety features to ensure your well-being on the road. The base version could have come with automatic transmission. 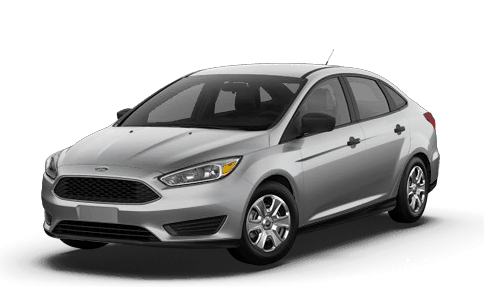 The Focus is loaded with a 2.0 Liter inline 4-cylinder engine with direct injection. It comes with a 5 speed manual transmission and gives you the option of getting a 6 speed manual transmission or a 6 speed automatic transmission as well. You could even opt for an EcoBoost engine by Ford that gives out a good 123 BHP and 125 lb-ft of torque, along with an approximate fuel economy of 35 MPG (Combined). It features multiple airbags, Tire Pressure Monitoring System, Electronic Stability Control, etc. as a part of the safety package. Cruise control comes as a standard feature and is also one of the most helpful ones. 0 Liter engine on this hatchback gives you great power output. Options of 5 speed and 6 speed transmission available. Stunning looks are an added advantage. Could have had some additional safety features. Honda is one of the most preferred car manufacturers all over the globe. The Civic features a 2.0 Liter inline 4-Cylinder engine with a displacement of 1996 cc. It revs out a maximum power of 158 BHP @ 6500 RPM and delivers a maximum torque of 138 lb-ft @ 4200 RPM. It features a multi point fuel injection rather than a direct one, compared to the other versions of Civic. Transmission on the Civic is a 6 speed manual transmission. The fuel tank storage capacity is a good 12.4 gallons, and it ensures you stop less for fuel with a fuel economy of 27 MPG in the city and a good 40 MPG on the highway leading to a combined fuel economy of 31 MPG. ABS, EBD, BA and the Vehicle Stability Assist and Traction Control by Honda ensure you have the safest drive possible. The features of Cruise control and Lane Keeping Assist System by Honda add to the list of perks of owning the Civic. Powerful Honda engine generates a good amount of power. Great mileage can be extracted from this car. Excellent safety features make it a safe car for this price point. 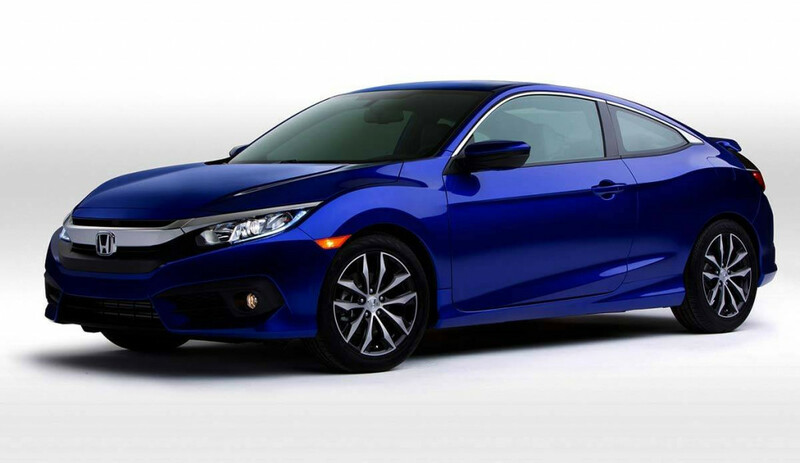 This two door fascination features a 2.0 Liter engine just as the Civic. However, for the first time, Honda gives you a turbocharged engine that pumps out 178 HP and packs power into your buy. The transmission is a 6 speed manual transmission that lets you zoom your way with your own timed gearshifts. Rear view camera gives you eyes at the back to park with ease and precision. It provides you with a Wireless Charging Mat which enables charging your electronic devices without any cables. Driver assist technologies like the Lane Keeping Assist System, Adaptive Cruise Control, Collision Mitigation Braking System and Road Departure Mitigation are featured in the package of Honda Sensing (By Honda). The Coupe enthralls with a unique appearance. Technology embedded is a highlight. Honda Sensing gives you the value for money. Base models of the Civic Coupe are less efficient. The infotainment system needs work. How about a 4-Wheel Drive on a Sedan? The Lancer by Mitsubishi Motors makes it to the list of top cars under $20000. Apart from the stunning looks it offers, there is also the 2.4 Liter inline 4-cylinder engine which offers a displacement of 2360 cc. It delivers a mind blowing power of 168 BHP @ 6000 RPM and a maximum torque of 167 lb-ft @ 4100 RPM. The transmission is a CVT automatic transmission on the ES version of the Lancer. The fuel economy offered is about 23 MPG in city and 31 MPG on highway, giving out a combined mileage of 26 MPG. It is equipped with a navigation system and cruise control feature as well. ABS, EBD and BA along with Stability Control, Traction Control and Tire Pressure Monitoring System, etc. make up the safety department of the car. Comes with a 2.4 L engine that churns out 168 HP. Stunning looks and all wheel drive are other advantages. As mentioned under the Focus hatchback, the Focus comes in variations of sedan and hatch. The sedan features a 2.0 liter inline 4-cylinder engine with an option of a 1.0 liter EcoBoost engine as well. It is loaded with a 5-speed manual transmission and is provided with the option of 6-speed automatic as well. A maximum power of 160 HP @ 6500 RPM and ultimate torque of 146 lb-ft @ 4500 RPM make it a power packed buy. It gives out a combined (city and highway) fuel economy of 30 MPG. ABS, Electronic Stability Control and Traction control are featured as the safety aspects of the Focus sedan. 0 L engine with the option of 1.0 L EcoBoost option. 160 HP from a 2.0 L engine is commendable. Could feature more in the safety sector. The Jetta comes with a 1.4 L inline 4-cylinder turbocharged engine which offers a peak power of 150 HP @ 5000 RPM and a tremendous torque of 184 lb-ft @ 1400 RPM, making it one of the great cars under $ 20000. The 14.2 gallon fuel tank with a fuel economy of 28 MPG in city and 40 MPG on a highway is sure to make you stop less and drive more. Safety features on the Jetta include ABS, EBD, Anti Slip Regulation, Engine Braking Assist, Hydraulic Brake Assist, etc. Apart from these, the car is loaded with a great number of passive safety features as well. Volkswagen Jetta becomes one of the safest cars to be in, all thanks to the great build quality and safety systems by Volkswagen. German build quality is definitely a plus. Superior power and torque make it the best in class. A combined fuel economy of 33 MPG is well appreciated. Numerous safety features make it an enjoyable drive. The larger wheels can be difficult to handle. This Mazda3 comes in 5 variants ranging from sport version to touring version. The car is equipped with a 2.0 Liter DOHC inline 4-cylinder engine with VVT. It churns out a power of 155 HP @ 6000 RPM and lets you experience a maximum torque of 150 lb-ft @ 4000 RPM. The displacement of the engine is 1998cc and it has a compression ratio of 13.0:1. The fuel tank has a capacity of 13.2 gallons and has a fuel capacity of 29 MPG in the city and 41 MPG on a highway. The multiple air bags with ABS, EBD and BA along with Dynamic Stability Control and Traction Control System along with rear view camera make it a good safety featured car. Is armed with 2.0 L engine which generates 155 HP. Traction control system and Stability Control give the car added safety measures. The rear seat is a bit cramped. The sound of the engine can be heard during acceleration. This can be discomforting for some people. The Impreza comes in 5 variants; the 2.0i, 2.0i Premium, 2.0i Limited, 2.0i Sport Premium and the 2.0i Sports Limited. The 2.0i has a 2.0 Liter aluminum alloy DOHC engine that generates 148 HP @ 6200 RPM and gives you a maximum torque of 145 lb-ft @ 4200 RPM. It features a fully synchronized 5 speed manual transmission. The symmetrical all wheel drive is a standard for almost all versions of the Impreza. The safety measures include Vehicle Dynamics Control, Traction Control System, Incline Start Assist, etc. The fuel economy of the manual transmission Impreza is 25 MPG in the city and 34 MPG on the highway. The CVT version of the engine gives a fuel economy of 37 MPG on the highway and 28 MPG in the city. The fuel tank has a capacity of 14.5 gallons, offering you seamless driving. Good power and torque produced by the 2.0 L engine. Fuel economy is slightly lesser when compared to the cars in the same class. If you can go a little above the 20K mark, you can get yourself the Elantra Eco model. However, let us look at the specs of the base version of the car (SE version). The manual and automatic transmissions have a price difference of a $1000. The base version holds a 2.0 Liter inline 4-cylinder engine while the Eco version gives you a turbocharged engine. The 2.0 L fanatic churns out 147 HP @ 6200 RPM and generates a maximum torque of 135 lb-ft @ 4500 RPM. It has a front wheel drive train and comes in variants of 6-speed manual and 6-speed auto transmission as well. The safety features are again the best in class offered by Hyundai such as ABS, EBD, BA, Stability Control System, Traction Control System, along with airbags. A good quality car with dynamic safety features for the price point offered. Combined fuel economy of 33 MPG. It has very few advanced safety features. The Cruze is best known for its classy looks and elegant styling along with a power packed engine. It is run by a 1.4 Liter DOHC turbocharged 4-cylinder engine and comes in variants of 6-speed manual transmission and 6-speed auto transmission as well. It has a whopping 153 BHP power which is achieved @ 5600 RPM and you will feel the maximum torque of 177 lb-ft @ 2000 – 4000 RPM range. It is installed with Electronic Stability Control System and Traction Control System as well to keep your wheels planted on the road. The car has 10 airbags overall and installed at knee levels for both driver and front passengers. The daytime running lamps make for some good looks and also keep you visible all through the day. The Tire Pressure Monitor will help you keep a track of the tire pressure easily. The fuel tank storage capacity on the Cruze is a good 13.7 gallons, and the fuel economy given by the splendid car is in the range of 29 MPG during a pleasant drive through the city and a phenomenal 41 MPG once you get out there on a highway. It is one of the most powerful cars in this segment with an amazing fuel economy which is worth the price. Amazing power and fuel economy makes this vehicle an ideal package. Exceptional safety measures are an added advantage. The design is a little bland. The ride can be bumpy even at slow speed. Yet another release by the German manufacturer is the VW Beetle. The classic Beetle has been upgraded from the first time it was introduced, and now comes with a Turbocharged engine. It makes 170 HP @ 4800 RPM and gives you a maximum torque of 184 lb-ft @ 1500 RPM from a 1.8 L engine, and also features a 6-speed automatic transmission with paddle shifters and sports mode. It is a front wheel drive train. The fuel tank storage capacity is a good 14.5 gallons, and the Beetle offers a fuel economy of 25 MPG in city and 34 MPG on a highway leading to a combined 28 MPG. That may seem a little disappointing, but there is this turbocharged engine that hogs the limelight. Outstanding power to weight ratio. Good fuel tank storage capacity. Now that you have taken a look at these best new cars under $20000, you are in a good position to pick the one that fits your bill. However, if you look specifically at what you need, then you will find yourself missing out on the rest of the features. For example, if you are looking for a good car within the specified price range, then you need to understand that by picking a car with exceedingly great MPG, you might be overlooking and getting yourself a car which might lack decent power. Hence, it is best advised that you look for an all round package while doing your research. For instance, find a car with a decent mileage along with some good power, and then explore some add on features in the safety or the entertainment department. So when you survey cars, search for your optimal package that you have in mind. Also, if your focus is fuel economy, then you can use a lot of measures to keep up your car’s MPG such as inflated tires, nitrogen air, etc. Using these measures will not only keep your tires in condition, but also ensure that you are running smooth on a good mileage spree. However, in case you are facing issues with the miles you get per gallon it is advisable to show your car to a mechanic so that he can tune the engine according to your needs. Give us a shout here if you feel that a model that deserves mention is missing from our list.